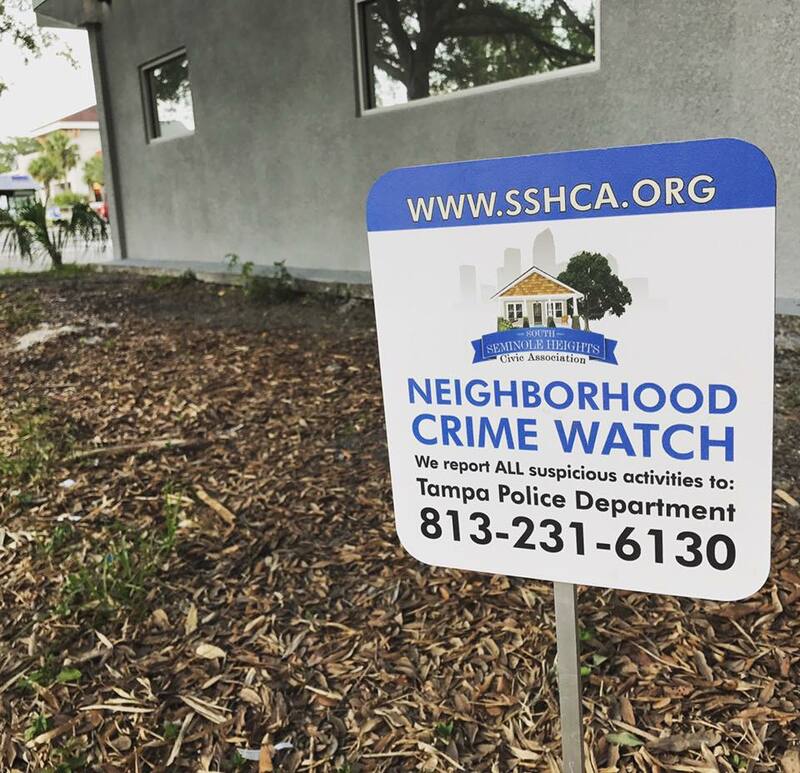 The Neighborhood Watch Committee, consisting of South Seminole Heights residents and businesses, reports and communicates issues with the intent of providing information quickly in order to reduce crime in our community. Our purpose is to increase awareness of suspicious and unlawful activities, share crime prevention best practices, facilitate communication between neighboring watch groups and police, and distribute alerts to our residents. To get involved, email Neighborhood Watch Chair Lara D’amico at info@sshca.org. Meetings are held on the first Tuesday of every other month. For next meeting date, please check our calendar. You can also join our Neighborhood Watch Facebook group to stay informed about local crime activity. Residency in South Seminole Heights is required to join. Neighborhood Watch signs are available for $10. These signs come with or without a metal stake so you can put them on a fence, pole, or in the yard. This is a great way to alert others that we have an active and engaged neighborhood watch group and to discourage any crime related activities in our area.